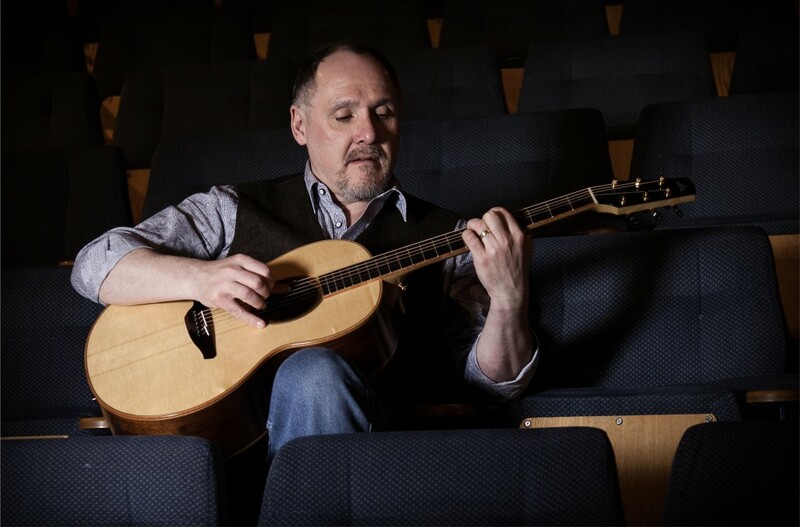 Born in Ballymena and now living in Bangor, County Down, David writes much of his music in the shadow of Slieve Binnian, in the Kingdom of Mourne - a place of folklore, myths and legends. His first album '....and sang to a small guitar' was released in 2010 and is available on Bandcamp. He has played in venues and Festivals across Northern Ireland. Since then he has gone on to play in the band The Sandrunners, in which he co-writes with his friend John McLaverty. Their most recent album 'George m'Boy', a concept album about a man's experience in the First World War, had its release in November last year. This, and the rest of The Sandrunners' musicis available on iTunes, Spotify, Amazon Music etc. The band have played at local festivals plus several tours and a festival in Holland. He also was a co-founder of the Lagan Sessions, a weekly acoustic music night that ran for 3 years in Belfast. While still playing and recording with The Sandrunners, he has recently begun to play more frequently as a solo artist again.